Whether seasoning rich tomato sauces or creating perfect made-from-scratch pesto, basil is a versatile and delicious fresh herb. Combined with its growth habit, it is easy to see why this tasty plant is a favorite for many home gardeners. 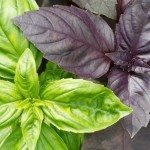 While the flavor offered by many cultivars of basil may vary greatly, some growers prefer the strong taste of more traditional basil types. One such basil, called Napoletano, is prized for its spicy taste as well as its large green leaves. Believed to have originated in Italy, Napoletano basil is a light green variety with crinkled leaves. Commonly referred to as lettuce leaf basil or large leaf basil, the size and branching habit of this plant make it an excellent choice for culinary use. Lush plants also make a fragrant and visually appealing addition to vegetable gardens. As with growing any other type of basil, Napoletano is fairly easy to grow in the garden. 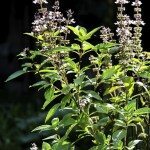 While it is possible to find Napoletano basil plants for sale at local plant nurseries or online, many growers prefer to grow this plant from seed. Doing so will ensure an abundance of plants, at a reasonable cost. When making the choice to grow basil from seed, gardeners have a few options. Though many may choose to start basil seed indoors with the use of seed trays and grow lights, most gardeners choose to sow the seed directly into the garden after all chance of frost has passed. To direct sow, simply plant the seeds into a well amended and weed free garden bed and water thoroughly. Gently press the seeds into the soil at spacing recommended, as per seed packet instructions. Seedlings should emerge within 7-10 days of planting. Once established, growers can begin to pick the basil leaves in as little as 10 weeks. To harvest the basil, cut small stems from the plant. Since basil is a “cut and come again” plant, frequent harvests of basil leaves will encourage the plants to produce more foliage, as well as prevent the plant from going to seed. When harvesting, never remove more than about 1/4 of the plant at one time. This will help to ensure healthy continued growth throughout the season. Read more articles about Basil.